I really don't think anyone would leave their whole life, their home, friends and memories unless they have to. As countries have restricted entry to their territories, with some closing their borders in a domino effect, a bottleneck of people has built up in Greece. Asylum seekers are blocked by fences and guards who are prepared to use force to keep migrants from crossing the borders. 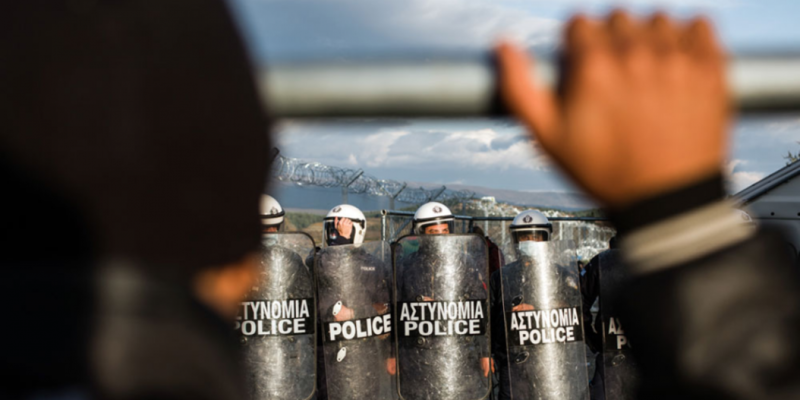 As a result, migrants will resort to smugglers as the only option for moving out of Greece to another European country where they can more feasibly claim asylum. Our partners at ECRE support the reality that high fences and barbed wire cannot keep people fleeing war and persecution out of Europe. The building of fences along borders is an inappropriate and ineffective attempt to control the movement of people. Instead, effort should be concerted towards safe and legal channels for protection in Europe, harmonization of reception conditions in all EU member states, and solid integration policies to assist people upon arrival. Particular areas of concern are the proposed European Border and Coast Guard, which is proposed to be operational and the Council’s suggestion of FRONTEX’s increased cooperation with NATO. As pointed out by Human Rights Watch, this operation potentially complicates implementing the non-refoulement principle and prevents forced migrants from reaching the EU territory, which is a violation of their fundamental rights. “The lack of clarity of the EU’s intentions around the development of such instruments and the role that the NATO operation will play in the Aegean Sea is worrisome,” says Olga Siebert, JRS Europe Advocacy Officer. Questions arise about the obligations that these bodies will have to uphold fundamental rights while they have the power to function as military operations. “JRS serves and accompanies people on the ground, therefore we are concerned that the Council focuses on protection of borders, rather than protection of people,” Siebert concludes.